The Timanfaya or the Fire Mountains are part of an extensive area affected by a series of volcanic eruptions that took place in Lanzarote between 1730 and 1736 and later on in 1824. This long series of eruptions was one of the most important and spectacular in the Earth’s history. They drastically changed the shape of the island, leaving almost a quarter of the island under a thick blanket of lava and ash. The landscape produced by volcanic activity covers an area of 67 square miles (174 Km). The area protected as Timanfaya National Park covers a surface of just 20 square miles (51 Km), which is where the most important eruptions occurred. The perimeter of the main eruption area is made up by extensive surfaces of rugged “aa” lava flows (malpaises) and “Pahoe-hoe” or rope lava flows, which have had only minimal human alteration. This, together with the unique climate of the island, has allowed the original volcanic landscape to remain practically unaltered. And like this created an authentic laboratory to study and research the colonization processes of local flora and fauna. 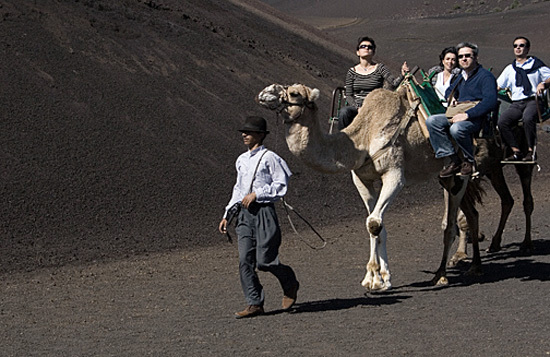 Timanfaya’s exceptional volcanic characteristics have lead to its being named a National Park in 1974. It’s the only one among Spain’s network of National Parks with such important geological features. 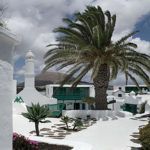 The volcanic emissions destroyed one of the most productive agricultural plains in Lanzarote and covered several towns and villages. However, much of the newly-formed lands stand out for their remarkable fertility. Especially those formed by lapilli or volcanic ash called rofe. This gave way to a quick reintroduction of agriculture, primarily of vineyards for wine production. 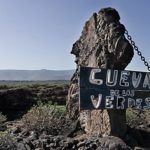 These new crops gave birth to landscapes like the nearby La Geria, where the vines are practically buried in the volcanic sand. 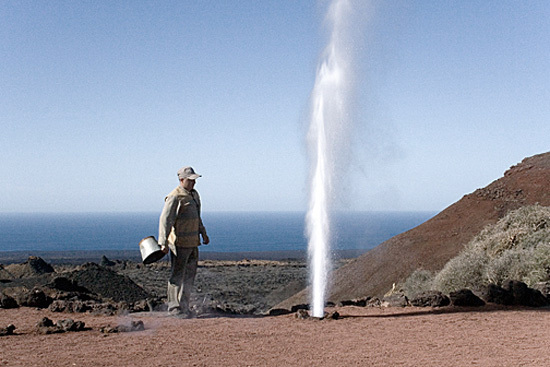 Throughout Timanfaya you’ll find what volcanologists call a geothermic anomaly. Means unusually warm surface temperatures from within the subsoil. The result of a layer of residual magma at a relatively shallow depth. 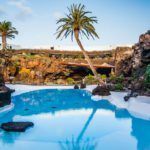 The centre of these anomalies can be found at the Islote de Hilario, where its effects are shown to the curious visitors by means of the famous geysers, burning gorse brush, and cooking food with earth’s natural heat. But the real surprise will come from the effect of the water on bags planted in the subsoil when exposed to these high temperatures. The resulting display, which looks more like a firework show, is always a crowd-pleaser. 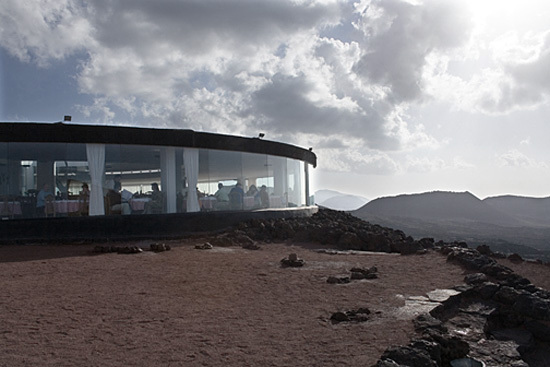 At the Islote de Hilario you’ll notice Cesar Manrique’s artistic footprint at the restaurand “El Diablo”. Constructed in 1970, this solid building features a circular space with crystallized separation walls that illuminate the interior and act as a type of overlook towards the volcanic landscape. The curved exterior also features an impressive wall bordering the entrance. The entire architectural complex is covered with carved dry stone, bringing out the dark tones of the volcanic material. Despite the short menu, it is a true pleasure to enjoy taking in the awesome sight of the volcanoes and lava formations spreading out for miles. The restaurant is open from 12:00 to 15:45 and the cafeteria from 9:00 to 16:50. The restaurant does get quite busy, so it’s recommended to arrive around 13:00. Manrique made use of circular, curvy shapes in his architecture and ornamentation. Clearly alluding to the traditional stone walls called “socos,” which serve to protect the plants from the constant winds. Located in some strategic spots in Montañas del Fuego, you can see the figure of a devil made of oxidized iron. This archetypal symbol of Timanfaya, created by Cesar Manrique, is an important part of the tragic and sublime environs of the island’s volcanic landscapes. A 9-mile road is maintained within the National Park for you to discover and enjoy. The path this road follows is perfectly entwined with the local environs, stretching along the main centre of the eruption sites, where there’s a high concentration of important geologic and geomorphologic formations, such as volcanic chimneys, caves and malpaises. The extreme fragility of the environment has necessitated the creation of a path which allows the visitor to take in the beauty and magnitude of the landscape. All this was done with minimal intervention. The route is completed in approximately 30-35 minutes. This path, the Route of the Volcanoes, was created under the direction of Cesar Manrique and Jesus Soto in 1968. Just as important as these geologic phenomena is the way in which they are shown. Having received visitors and scientists since the 19th century, a long-standing tradition exists among the locals in making these visits a unique and once in a lifetime experience. 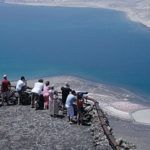 Riding to the peak of the volcano on a camel’s back is, without a doubt, one of Lanzarote’s most classic tourist experiences. It combines an exotic means of transport with truly spectacular environs. Timanfaya is visited every year by nearly one million people. That makes it, together with the Cañadas del Teide National Park, the most visited National Park in Spain. Opening hours: Open 7 days a week from 9:00 to 17:45 (last tour throught the volcanos at 17:00). Prices: Adults: € 10, Children (7 to 12): € 5 – 20% off from 15:00 on. IMPORTANT: Payment by card at the cash desk at the entrance is not accepted, due to difficulties in connecting to the internet in this natural area. Recommended hours: Early (9:00) or late (around 15:30 or later) in order to avoid waiting in line. 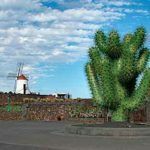 Nearby the Timanfaya National Park you will find other places of interest like Salinas de Janubio, Los Hervideros-Charco de los Clicos and of course the beautiful wine area La Geria. 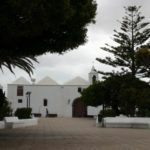 So you could perfectly combine the route visiting these differnt points of interest and enjoying lunch in the small fishers town El Golfo or in the picturesque village of Yaiza in the Bodega de Santiago. Living the amazing and unique experience of visiting the Timanfaya with its red and ochre coloured volcanos and taking a bath in Papagayo Beach on the same day is priceless. So just make your choice and get out there to see the amazing nature of Lanzarote.